This four-year integrated Masters course responds to the demand for engineers enthused by tackling cross-disciplinary challenges. City's broad MEng (Hons) Engineering course is ideal for students with a strong grounding in Mathematics and Science who wish to develop their capabilities in logic and problem-solving. The interdisciplinary nature of the degree course means a wide variety of career paths will be available to graduates. This degree responds to the demand for engineers enthused by tackling cross-disciplinary challenges, in particular through the development of advanced engineering software (using high-performance computers) and use of digital manufacturing. The continual growth in computer speed, storage capabilities and visualization techniques, together with greater levels of understanding of the physics that explains our world, has led to remarkable improvements in the fidelity of engineering simulations. Our current engineering degrees are all accredited by the relevant professional institutions, providing a path for graduates to gain Chartered Engineer status. We have every expectation that this new degree will similarly receive full institutional accreditation. Tariff: 128 tariff points, including 'A' Level Mathematics. Read more about the new UCAS tariff from September 2017. Percentage of our research rated 4*(world-leading) or 3* (internationally excellent) in the Research Excellence Framework 2014. Engineering has been taught at City, University of London, for over 100 years. Our 7 engineering undergraduate programmes have particular emphasis on creative design. 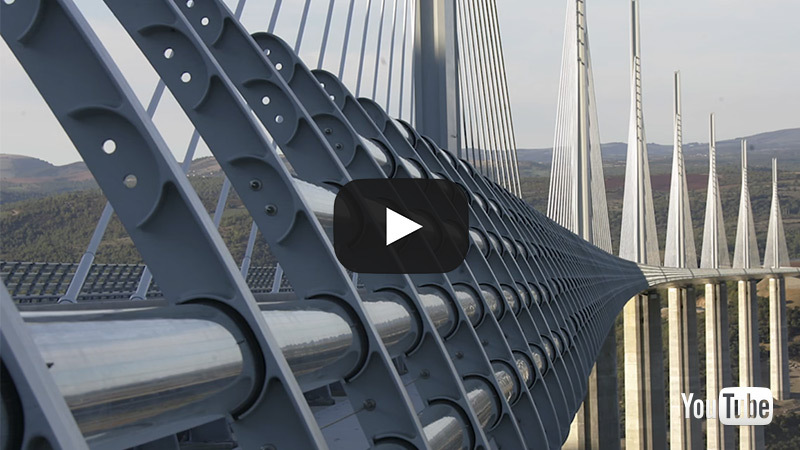 Four leading structural engineers share their thoughts on design innovation in this video as we lead you through an inspiring historical journey through engineering. In recent years students from our engineering courses have been able to obtain placements at leading companies within their chosen field such as BMW, the Home Office, Ghana Energy Commission, Airbus and British Airways. Engineering courses benefit from recently redeveloped facilities with modern teaching lecture theatres equipped with the latest interactive AV systems and modern IT laboratories which are updated annually. A dynamic virtual learning environment (Moodle) provides students with access to online course materials, resources, interactive activities, assessment and communication tools. Specialist facilities include flight deck, motion simulators, wind tunnels, optical IC Engines, optical compressors, optical fuel injection systems, flywheel, formula car simulator, micro Turbine, cavitating flows, high performance computing, flight test course. The week long competition was set up for teams of undergraduate mechanical and aeronautics engineering students to design, construct and test a small wind turbine with pasta tower, plastic pipe blades and gears with metal raw material for lifting a 2,5kg weight. The course is delivered through lectures, tutorials, group design exercises, laboratory classes and programming workshops. Learning involves a combination of theoretical, experimental and computational study. Out approach is to encourage critical thinking and foster curiosity through both teamwork and independent study. The design exercises provide the opportunity for you to be engaged in cross-disciplinary challenges, preparing the way for tackling larger problems which span traditional engineering boundaries. This degree takes in a broad range of engineering topics, including mechatronics, data analysis, solid and fluid mechanics, structural dynamics and computational analysis. The MEng Honours Programme is a four-year, or five-year with placement, full time degree comprising 480 credits (4800 study hours) structured as four Programme Stages, each typically delivered over 22 contact weeks, 4 examination weeks, 4 reflective learning (private study) weeks and 8 vacation weeks (which may be used for private study) per academic year. A MEng (Hons) Programme therefore requires a commitment of 40 study hours per week during the academic year. Find out how studying at City, University of London helps to improve your job prospects. Four years or five years including a professional placement.